IRVINE, Calif.–(BUSINESS WIRE)–The Patient Safety Movement Foundation (PSMF) has named healthcare leader and long-time patient safety advocate Dr. Mike Durkin, OBE, MBBS, FRCA, FRCP, DSc, to its Board of Directors. In addition to his position on the PSMF Board of Directors, Dr. Durkin currently serves as the Senior Advisor on Patient Safety Policy and Leadership at the Institute of Global Health Innovation at Imperial College, and as a Visiting Professor in Patient Safety at Imperial College London and the University of the West of England. With a medical management and leadership career spanning 25 years, Dr. Durkin served as the NHS National Director of Patient Safety from 2012-2017 and led the establishment of the Ministerial Inter-Governmental Summits on Patient Safety, which has now been held in the UK (2016), Germany (2017), and Japan (2018). He has led performance and clinical governance reviews in the UK and overseas, and led the National Patient Safety Programme for England, developing the 15 Patient Safety Collaboratives across England and the Q Fellowship to build a community of 5,000 quality improvers in partnership with The Health Foundation. He continues to support international development of patient safety systems with the World Health Organization, and in 2015, Dr. Durkin was commissioned by the Secretary of State for Health to Chair the Expert Advisory Group to advise on the establishment of the Healthcare Safety Investigation Branch. He holds an Honorary Doctorate from the University of the West of England, and in 2017 he was awarded the highest accolade of the Royal College of Physicians of London for services to Patient Safety, their Honorary Fellowship. Dr. Durkin is Chair of the Management Board of NICE National Clinical Guideline Centre, is a Non-Executive Director at NHS Resolution, and sits on national and international research, policy and patient safety Advisory Boards. Dr. Durkin states, “It is a very real honour for me to be asked to join the Board of Directors of the Patient Safety Movement Foundation. Patient Safety is the core element to provide a quality health experience to the billions of health system users across the world. We must always remember that as we strive to deliver cost-effective value in all settings for our patients, it is the ethical values of those who serve their patients that must be the guiding principles in delivering safe and effective care. Our patients, no matter what their background or personal circumstance, deserve the best evidence-based, safe care in all of their countries and settings. The Patient Safety Movement Foundation board members include: Dr. Steven Barker, Professor Emeritus of Anesthesiology, University of Arizona, and CSO of Masimo; Robin Betts, MBA-HM, RN, Assistant Vice President of Quality of Patient Safety; Alicia Cole, Executive Director of the Alliance for Safety Awareness for Patients; Omar Ishrak, Chairman and CEO of Medtronic plc; David Mayer, MD, Vice President of Quality and Safety for MedStar Health; Dr. Jannicke Mellin-Olsen, President, World Federation of Societies of Anaesthesiologists; Charlie Miceli, CPM, Chief Supply Chain Officer, Network Vice President University of Vermont Health Network; Jim Messina, CEO of The Messina Group; Charlie Miceli, Vice President of Information Systems & Supply Chain for University of Vermont; Tamra E. Minnier, RN, MSN, FACHE, Chief Quality Officer, University of Pittsburgh Medical Center; and Michael A. E. Ramsay, MD, FRCA, Chairman of the Department of Anesthesiology, Baylor University Medical Center. More than 200,000 people die every year in U.S. hospitals and 4.8 million worldwide in ways that could have been prevented. The Patient Safety Movement Foundation is a global non-profit which creates free tools for patients and hospitals. The Patient Safety Movement Foundation was established through the support of the Masimo Foundation for Ethics, Innovation, and Competition in Healthcare to reduce that number of preventable deaths to ZERO by 2020 (0X2020™). Improving patient safety will require a collaborative effort from all stakeholders, including patients, healthcare providers, medical technology companies, government, employers, and private payers. The Patient Safety Movement Foundation works with all stakeholders to address the problems with actionable solutions for patient safety. The Foundation also convenes the World Patient Safety, Science & Technology Summit. The Summit brings together some of the world’s best minds for thought-provoking discussions and new ideas to challenge the status quo. 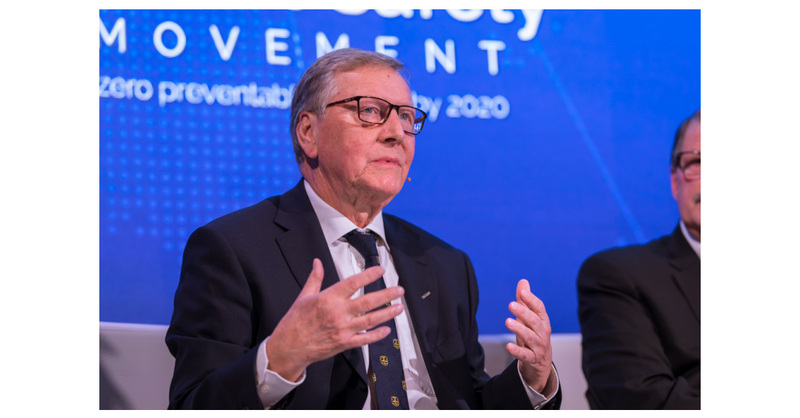 By presenting specific, high-impact solutions to meet patient safety challenges, called Actionable Patient Safety Solutions, encouraging medical technology companies to share the data their products are purchased for, and asking hospitals to make commitments to implement Actionable Patient Safety Solutions, the Patient Safety Movement Foundation is working toward ZERO preventable deaths by 2020. Visit patientsafetymovement.org.